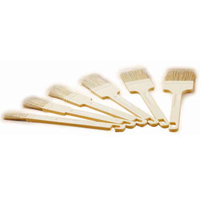 Professional Pastry Brush with Syntetic Bristle. Length 1.18"
Professional Pastry Brush with Natural Bristle. Length 1.18"
Professional Pastry Brush with Syntetic Bristle. 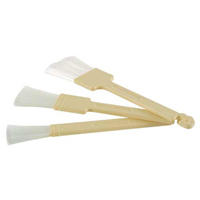 Length 1.57"
Professional Pastry Brush with Natural Bristle. Length 1.57"
Roller Docker for Dough. Size 2.028"
Plastic Cutting Rollers for Dough. Size 2.028"
Professional Pastry Brush with Natural Bristle. 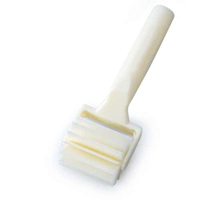 Length 1.96"
Professional Pastry Brush with Syntetic Bristle. Length 2.36"
Roller Docker for Dough. Size 4.057"
Plastic Cutting Wheel for Dough. Size 2.028"